Please type your desired tags, e.g. Tumor Microenvironment, Fibrosis, Political Science, Social Data Analytics and Research, Communication Sciences and Disorders, Design & Technology, Computer Science, Functional Genomics, GRO-seq, renewable energy, 3d printing, Mental Health, Intimacy, Conflict Management, K-12 Education, and etc. 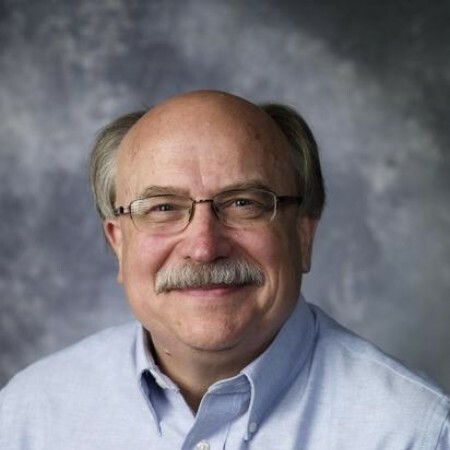 Dr. Millers research interests include the structure and organization of mitochondrial DNA, mitochondrial gene expression, RNA editing, and mitochondrial biogenesis. He is currently studying the extent and mechanism of RNA editing as a step in the mitochondrial gene expression of Myxomycetes. Mitochondrial function is essential for the survival of nearly all eukaryotic organisms. Mitochondria are the site of cellular respiration and ATP synthesis and are the location of enzymes involved in such cellular processes as fatty acid synthesis, the urea cycle, apoptosis, and electron transport. Dysfunction of mitochondria is associated with cancer, aging, and a number of maternally inherited genetic diseases. Mitochondrial biogenesis depends on the coordinated expression of two different sets of genes, one set located on DNA in the nucleus and the other set located on DNA in mitochondria (mtDNA). These genes code for RNAs and proteins necessary for mitochondrial biogenesis. RNAs and proteins produced from nuclear genes must be imported into mitochondria where they function either autonomously or by interacting with the products of genes on mtDNA. Genes on mtDNA are transcribed to RNA by the mitochondrial RNA polymerase (mtRNAP). This is a central step in mitochondrial gene expression and is absolutely necessary for mitochondrial biogenesis. The mtRNAP is a single polypeptide which is encoded by a gene on the nuclear DNA. We are studying the mtRNAP of the myxomycete, Physarum polycephalum. This mtRNAP is particularly interesting since it is involved in a unique type of RNA processing called RNA editing. RNA editing is the insertion or substitution of nucleotides in RNAs so that the RNAs are not identical in sequence to their DNA template. There are numerous examples of RNA editing but the most extensive examples are found in the RNAs of some mitochondria. Physarum polycephalum has a unique type of RNA editing in which mono or dinucleotides are inserted in RNAs at multiple sites relative to their mtDNA template. This process creates the open reading frame coding for proteins in mRNAs and produces structural features necessary for the function of transfer RNAs and ribosomal RNAs. These nontemplated nucleotides must be accurately and efficiently added to RNAs for mitochondrial function in Physarum. Accuracy requires the addition of the proper nucleotide at the proper site. We are currently attempting to understand the mechanism whereby nontemplated nucleotides are accurately and efficiently added to RNAs in mitochondria of Physarum, and to identify the genetic information used to specify nucleotide identity and the site of nucleotide addition. Several lines of evidence lead us to believe that the mtRNAP is an integral part of RNA editing in Physarum mitochondria. Because of this evidence we are presenting the mtRNAP with novel templates in an attempt to reproduce RNA editing in vitro. Genomics and Gene Expression in Myxomycetes. Schaap, P.L., .....D.L. Miller et al.